The matte black tapware revolution has shown no signs of slowing down. 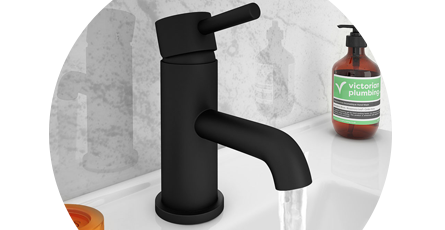 Popular in luxury hotels and workplaces, black taps have worked their way into designer homes. Our range starts as low as £59.95. Chrome tapware in particular has a tendency to become caked in grubby fingerprints after minimal use. Black taps however, require a lot less maintenance and continue to look pristine for weeks on end. "Looks nice and smooth operation. However, it runs/drips for a few moments when the tap is closed - not sure why." Looks graet in contempory setting.